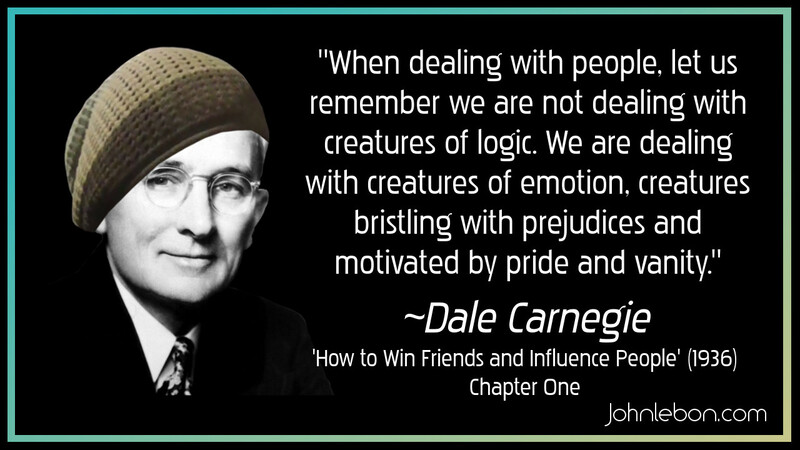 Dale Carnegie (1888-1955) American author who wrote How to Win Friends and Influence People. Source: How to Win Friends and Influence People (1936). Available in pdf here as at 4-Sep-2017. Page 33 of that copy.